Growing awareness among users about how to protect electronic equipment from voltage fluctuations has been a key factor in the growth of the UPS system and inverter markets in India. This has naturally led to greater demand for the transformers used in them. Given the demand and supply gap with regard to utility power, the pace of industrial growth and the increasing income levels of consumers, for the transformer industry to grow, it needs to focus on innovation and affordability. Continuous power supply in both the commercial and domestic arenas is rare in India. This has resulted in the growing usage of uninterruptible power supply (UPS) systems and inverters as backup devices. While both terms are used interchangeably, UPS systems switch to the battery instantaneously, as the power goes off; but in the case of an inverter, there is some time gap. In the case of the mains supply, power flows via the rectifier and transformer to the output, in order to provide the critical load, and the battery also gets charged. This process is referred to as the double conversion mode. In the case of a power outage, the battery feeds the UPS system and provides the load through the transformer. In this article, we will discuss the role of transformers in detail. As transformers transfer electrical energy from one circuit to another without changing the frequency but with a change of voltage and current, they protect secondary circuits and people from electrical shocks because of energised conductors and earth grounding. A transformer-based technology of over 100 kVA (an electrical power unit–one kilo volt ampere is equal to 1000 volt ampere) is known to be suitable for industrial applications. An isolation transformer is used for galvanic isolation, which is about electrically and physically isolating the output power circuit from the input power circuit. A transformer consists of an input connection, an output connection, windings or coils and the core. When the input voltage is applied to the primary winding, AC flows in the primary winding direction and a changing magnetic field is set up in the core. As this magnetic field cuts across the secondary winding, alternating voltage is produced in the secondary winding. The ratio between the output voltage and the input voltage is the same as the ratio of the number of turns between the two windings. There are different configurations for both single-phase and three-phase systems. The ratio between the number of actual turns of the wire in each coil determines the output voltage and hence the type of transformer. Mentioned below are the two types of transformers available in the industry. Step up transformer: This transformer’s output voltage is greater than the input voltage, if the secondary winding has more turns of the wire than the primary winding, leading to the stepping up of the output voltage. Step down transformer: Here the secondary winding has fewer turns than the primary winding and the output voltage is lower. With no distinction with regard to shape or size, a transformer converts electrical power from one type to another. Some of the major types of transformers used in UPS systems and inverters are listed below. Inverter transformers or electronic transformers: These are commonly used for small power conversion or to get the desired voltage. The power transformers usually seen in substations are similar to this variety but are used for converting large amounts of power. It can be said that all inverter transformers are power transformers but not all power transformers are inverter transformers. Inverter duty transformers: These are mainly used in solar applications and operate at the fundamental frequency of an alternating system. They are designed for one or more output windings connected to the inverter’s load. Owing to multiple outputs, multiple inverters paralleled to photovoltaic arrays are connected to these transformers and reduce the project cost without compromising on the transformer’s functions. Generally, with the three-and five-windings construction to address the harmonics, they can also be customised to suit the voltage, power, low losses, sound level and operating conditions, environmental impact and safety issues. Other features include galvanic isolation between the solar inverter and the feeding network. Instrument transformers: Also known as accurate ratio transformers, these are used along with standard low range measuring devices to measure high values of current or voltage. As the name suggests, they transform at an accurate ratio to allow an attached device to gauge the current or voltage without actually running full power through the instrument. While the ‘current type’ of an instrument transformer measures current in AC voltages, the ‘potential type’ measures voltage in AC. Isolation transformers: These types of transformers isolate the power source from the powered devices, thereby providing safety to appliances as well as their users. Being capable of reducing noise and power surges, they are ideal for appliances that require a high-quality power supply for efficient operation. The primary purpose of these transformers is to isolate the circuits as opposed to the more common transformer function of voltage conversion. UPS systems with such transformers are found to be more robust, flexible, and have better fault management. Hence, there is a growing demand for these transformers in UPS systems. As UPS systems work by sampling an input wave and providing smooth power at the output, isolation transformers are used to isolate downstream load so that the load and the UPS system is completely isolated from the bus, even in the bypass state. Here are some ways in which these transformers operate. The requirement for strong grounding for loads: Sometimes, the grounding system of the UPS system may be highly resistant whereas the loads connected require a very solid grounding. In such cases, an isolation transformer ensures safe and sound operation. 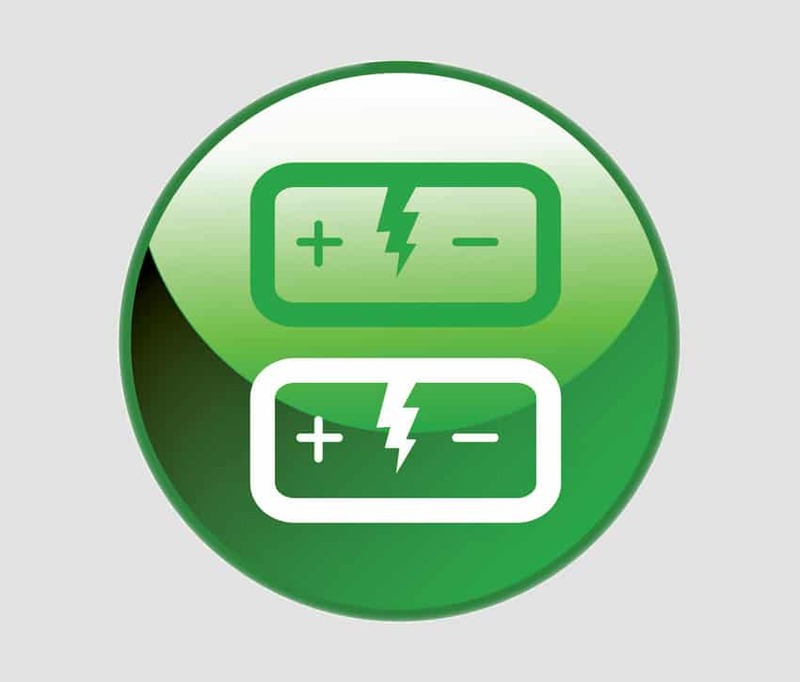 Voltage conversion: This can be designed to either step-up or step-down—to convert voltages to the desired levels so that the connected loads get the required voltage. Reduces fault current supply to loads: These transformers reduce noise and fault current, thereby ensuring the proper working of connected equipment. Easy maintenance of UPS systems: As isolation transformers are external to the UPS system, maintenance is easy and this design prevents electrical shocks during the testing or servicing of the UPS system. Usage in sensitive instruments: Connecting instruments like those used in the medical field to an isolation transformer before connecting it to a UPS system ensures reliable operation and safety from electrical shocks. Based on their design, build and installation requirements, transformers come in different capacities, dictating how much power a particular device can handle before overloading. Given below are some key parameters to consider while selecting a transformer. kVA, amperes or wattage required by the load: The transformer size is determined by the kVA of the load and it is important to add the total pieces of equipment involved. The kVA should be either equal to or more than the load in order to handle current requirements and account for future expansion. There are different parameters for single-phase (two lines of AC power) or three-phase (three lines) installation. Supply voltage: It is important to find out the available voltage or the power from the utility source to connect to the primary of the transformer. Voltage required by the load: This is the secondary voltage or output voltage of the transformer required to operate the load (lights and other devices). Frequency of the supply source: The frequency of the supply source and the load must be the same. Location and space: The installation location determines whether or not there will be a need for an enclosure (open type). There are indoor ventilated enclosures and other varieties to protect the windings from moisture, dust and other contaminants. Additionally, size plays a key role when it comes to lifting or shifting the transformer in tight spaces and hence special design features are needed for safety or reassembling. Other factors: It is important to judge if the equipment need electrical isolation from the supply or whether an auto transformer will serve the purpose. For control transformers, a terminal model is needed. Besides power factor, efficiency, impedance and cooling methods, some industries prescribe other specific standards and approvals. Given the recent surge in demand for power in India due to growing industrialisation, urbanisation and population, as well as the advent of smart cities and the push for green energy, UPS systems and inverters will play a major role leading to an upswing for the transformer industry. However, potential growth depends on quality and testing standards, new technology and cost effectiveness. Repair, replacement and maintenance would be additional factors to ensure a reasonable return on investment. Several small manufacturers are expanding their production facilities, making the market competitive and price sensitive. Besides the economies of scale, there should be a greater focus on the converter-inverter and isolation type of transformers. Additionally, user awareness regarding how to achieve business benefits and efficiency will further strengthen the market. The applications for this transformer are mainly in inverters and UPS systems. Designed in the form of 1:1 transformers, this transformer provides an output voltage that is not significantly affected by input voltage variations. It uses a tank circuit composed of a high-voltage resonant winding and a capacitor to produce a nearly constant average output with a varying input. These transformers are designed to support applications that consist of inverter circuits. The circuit switches can be alternated to turn on or off. The switching chops up a DC signal and makes it look like an AC signal. The company uses wire for termination, and this is done through nylon connectors to avoid the risk of a short circuit. The windings have a gap in between for auto cooling to protect the UPS system/inverter, thereby making the product eco-friendly.